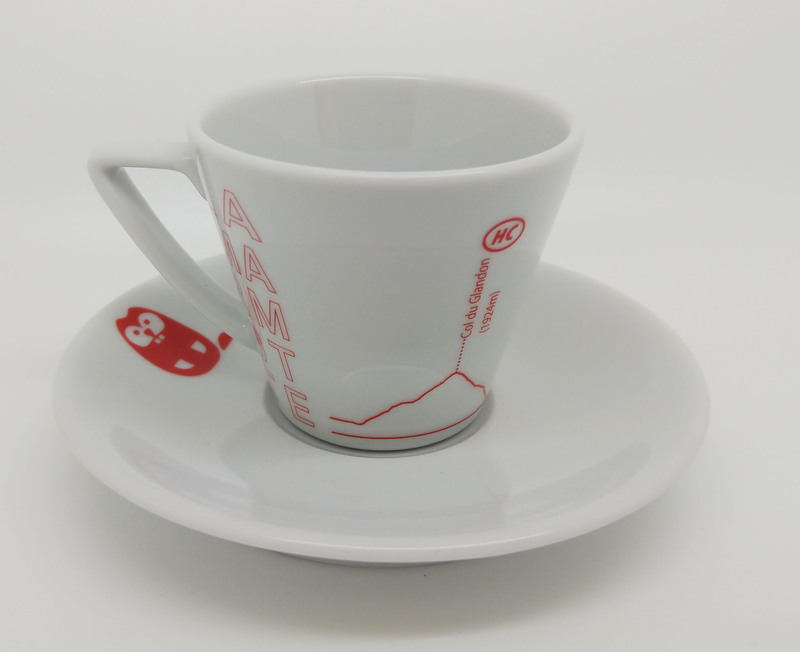 Inspired by one of the world hardest cycle sportives this 80ml La Marmotte Espresso Cup and Saucer is perfect for short drinks. 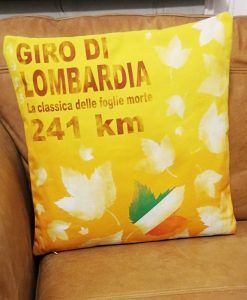 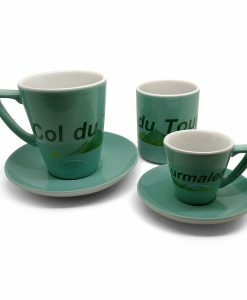 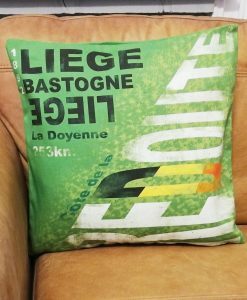 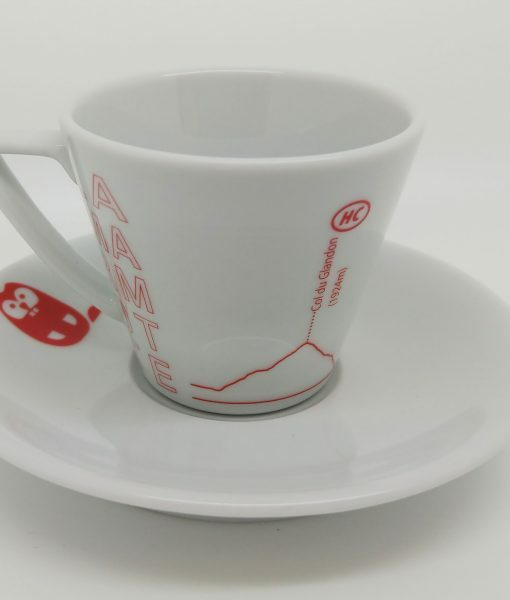 The 4 famous climbs (Col du Glandon, Col du Telegraphe, Col du Galibier and Alpe d’Huez) or La Marmotte feature with a route profile wrapping around the cup, the cute little Marmotte features on the saucer for extra character! 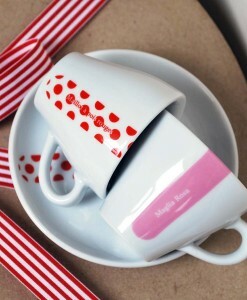 80ml/3oz screen printed, hand decorated, kiln fired cup and saucer. 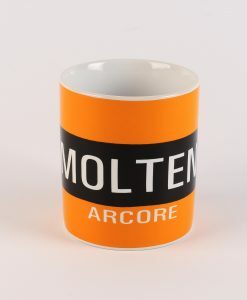 Scratch resistant, microwave and dishwasher safe strait sided sup. 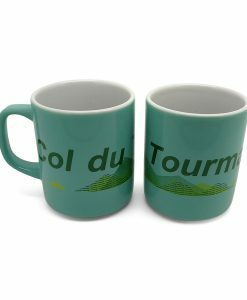 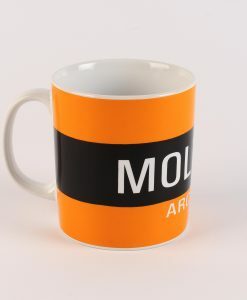 Also available in 200ml cappuccino size.